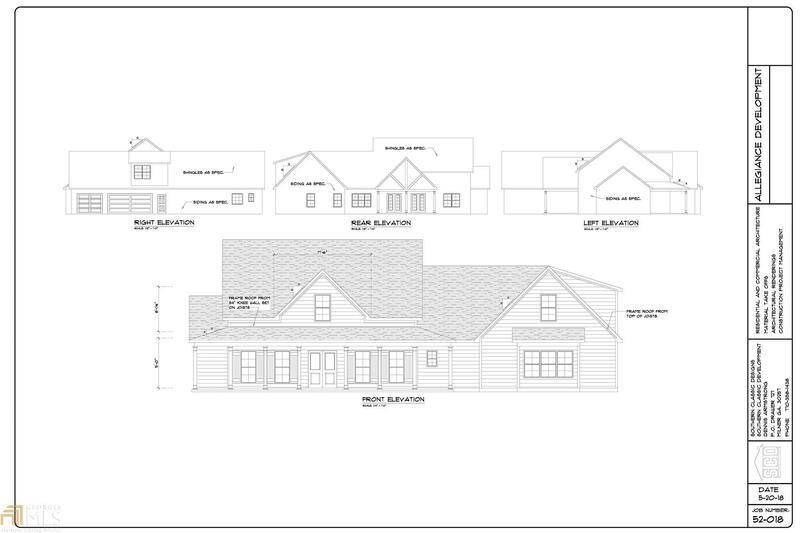 This NEW RANCH PLAN by ALLEGIANCE HOMES is perfect for this Level ACRE w home site in StoneCrest Preserve ! Over 3000 Square Feet of Main Floor Living including a 4th Bedroom/Media Room with Bath upstairs ! OPEN CONCEPT, 11 ft + Ceiling in Family Room. Kitchen with CUSTOM WOOD CABINETS, large Island and HUGE walk in pantry ! The Master suite includes a large shower with bench, soaking tub, and a very large closet with access to the laundry room! A WRAP AROUND FRONT PORCH and a 12&apos; X 20&apos; VAULTED OUTDOOR LIVING PORCH complete this lovely home ! A Beautiful area conveniently located minutes from I-85 , Peachtree City , & and Fayetteville. Connected to Peachtree City GOLF CART PATHS ! BUYER CAN MAKE ALL CUSTOM SELECTIONS NOW! Directions: From Peachtree City : Take Highway 74 South To Hwy. 85, Turn Left. Take First Right At 85 Connector. Follow The Connector To Brooks Woolsey Road And Turn Right. #415 Will Be On The Left About 1 Mile Down Brooks Woolsey Road.